Martinez Canyon became a booming mining center during the late 1880's when multiple veins of silver were discovered throughout the canyon. Operations eventually played out in the early 1950's. 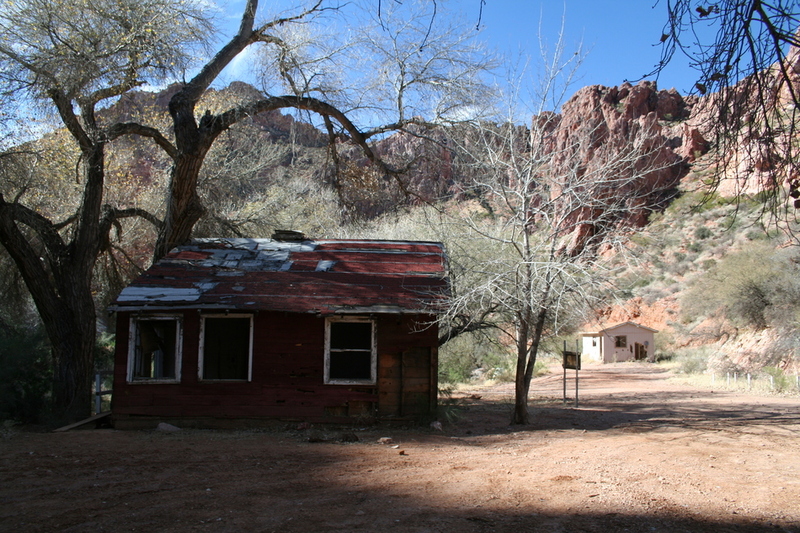 The 4WD trail passes remnants of this boom including an old stage depot, a purported canteen and bordello, as well as cabins occupied by mining families until 1951 when severe flooding led to abandonment. Close examination of the cabins will show how they've been pushed off their foundations from the flash floods. 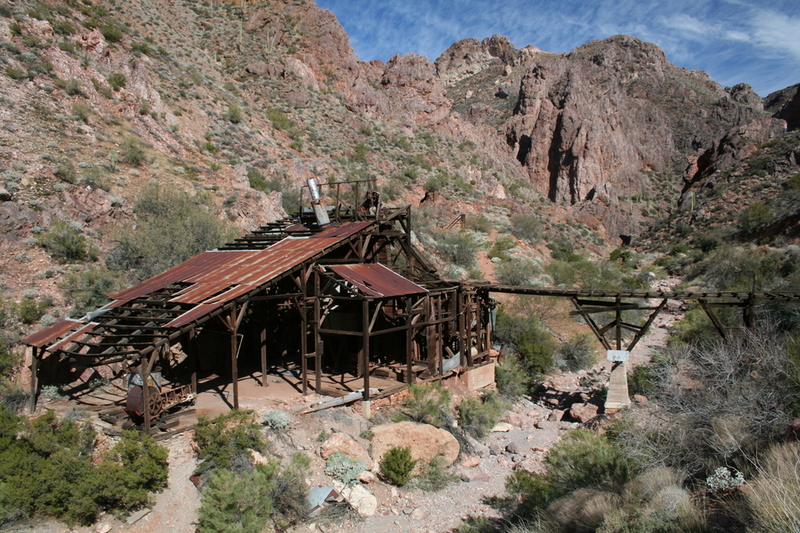 As you continue further up the canyon you will encounter Martinez Mine and Mill. Exit the canyon and travel an old mining trail up the hill and you will come across Columbia Mine and Silver Belle Mine. Martinez Mine and Mill are particularly well preserved with much of the machinery and equipment left behind for our continuing present day examination. 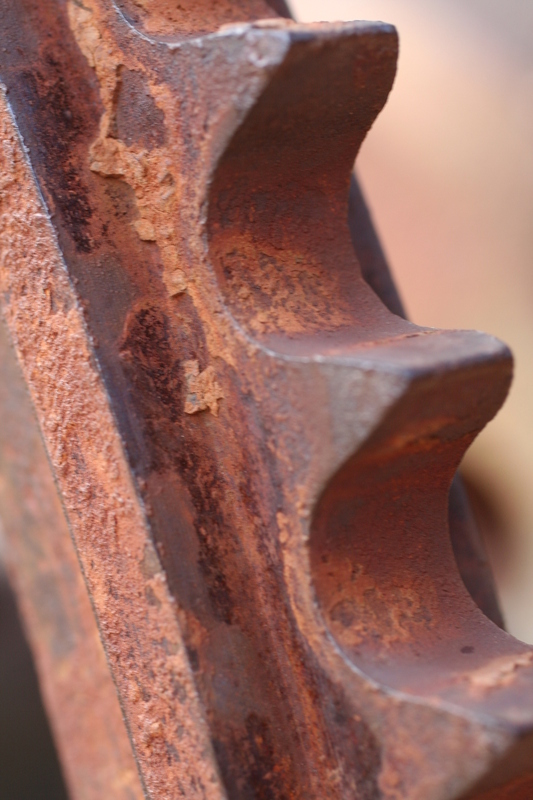 I find part of the fascination exploring these abandoned sites is figuring out how some of these puzzling pieces of equipment were employed in the old mining operation. 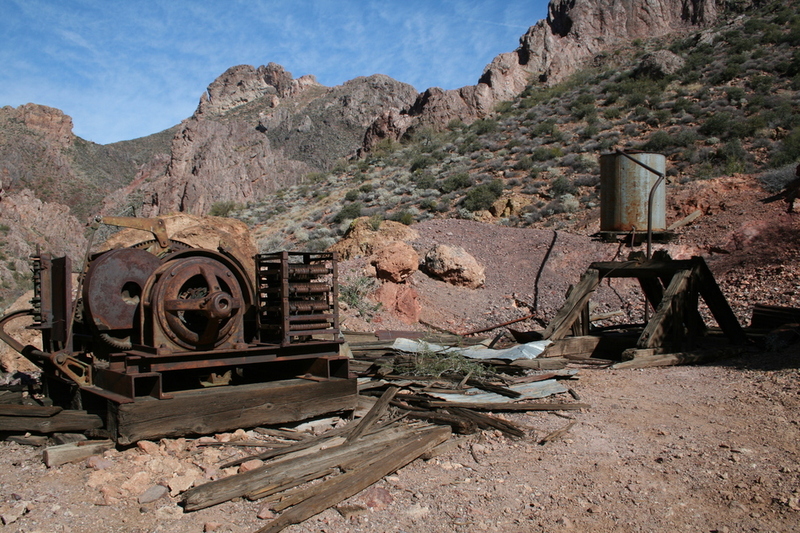 The nearby Coke Ovens and the ghost town of Cochran are further evidence of this booming mining center. 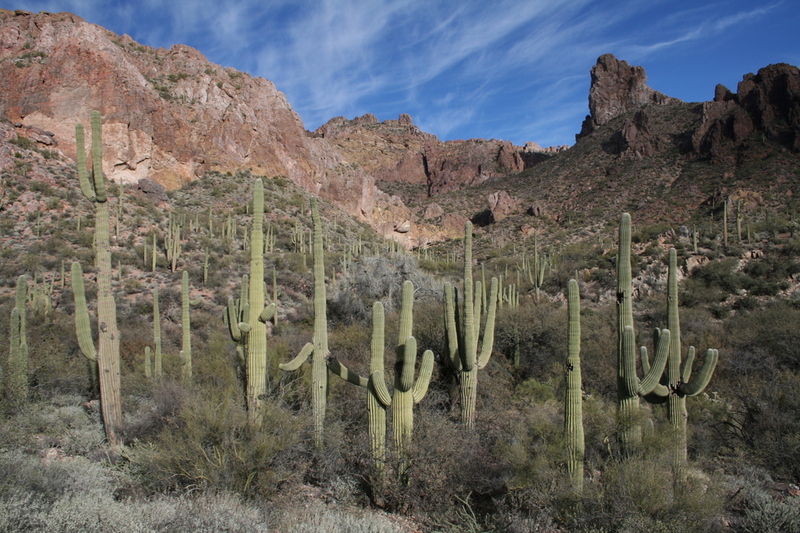 Martinez Canyon features classic Sonoran Desert scenery. 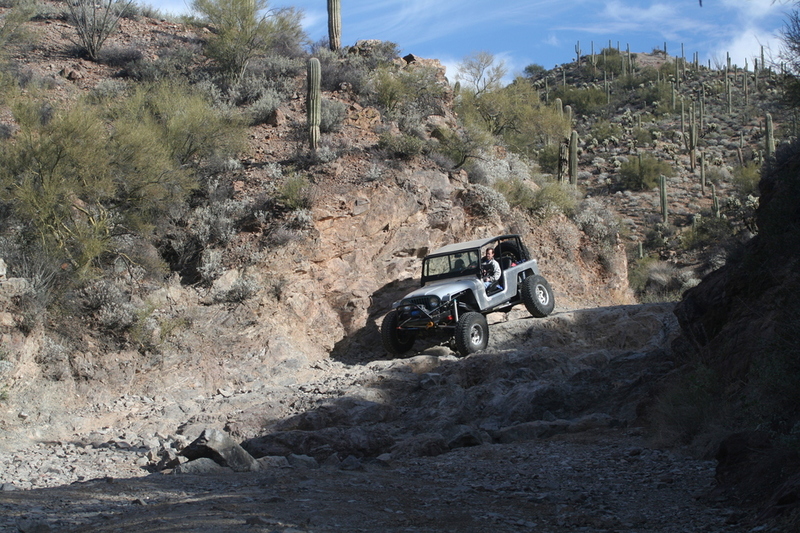 The 4WD trail to Martinez Cabin may test the limits of many stock vehicles. On this particular outing one of our vehicles torqued the engine compartment so severely as it negotiated a boulder field that the fan blades collided with the radiator! 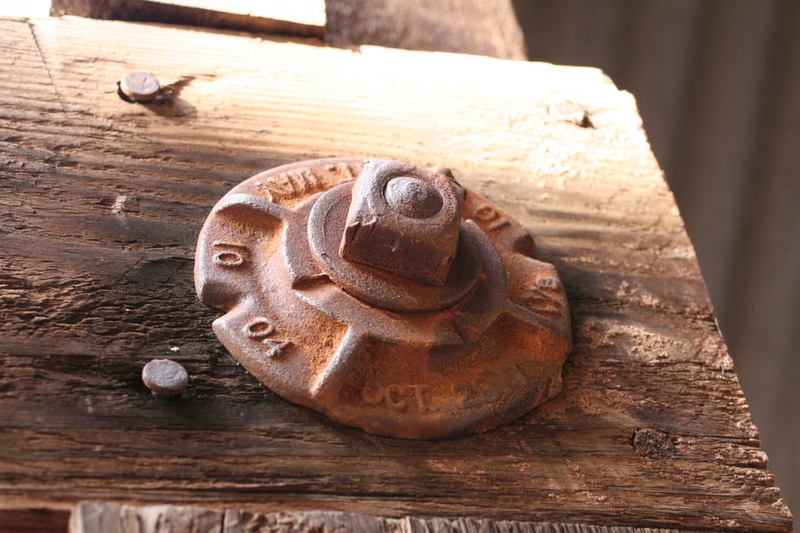 I recommend using Martinez Cabin as a Trail Head and continue hiking up the canyon to the mines. 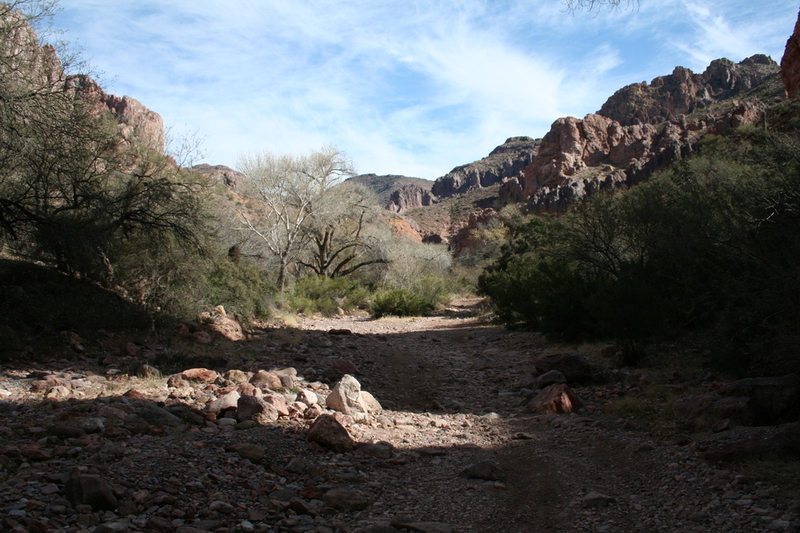 From the TH near the cabins, continue along the east fork of the wash. 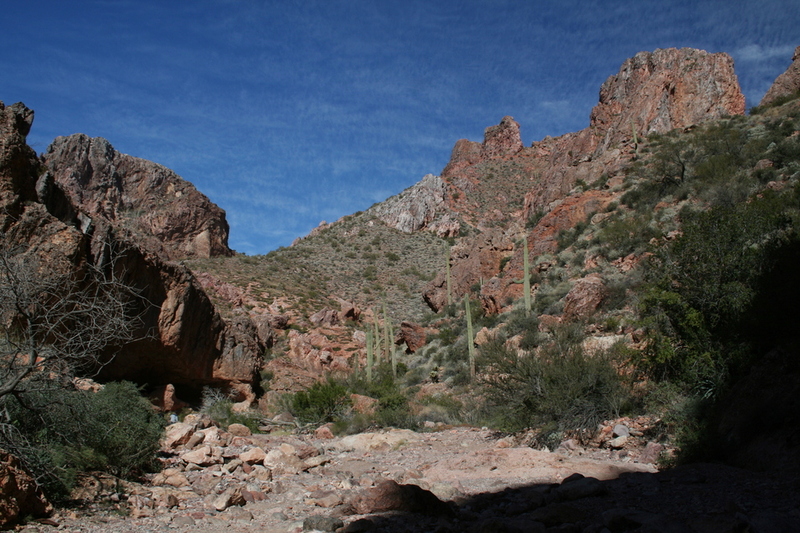 The half mile trek to Martinez Mine and Mill will require some boulder-hopping and climbing some slick-rock ledges. 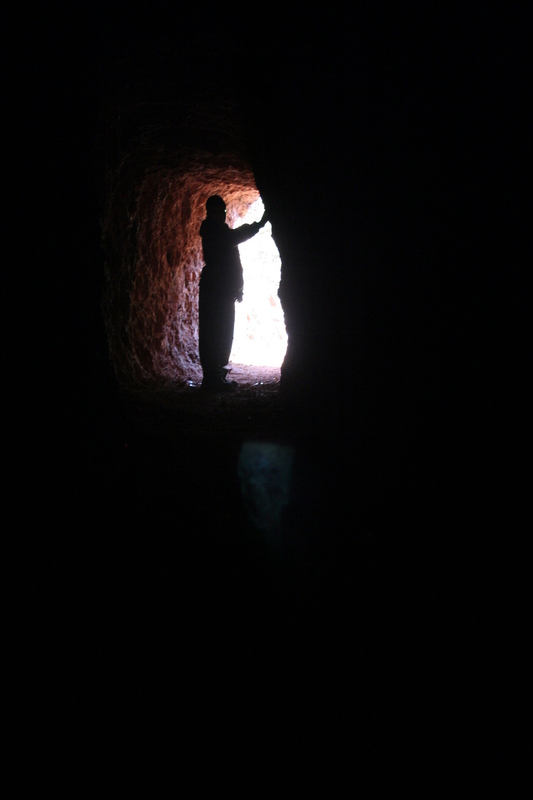 Peer up the high walls of the canyon and you will spot many "test holes" from past mining operations. 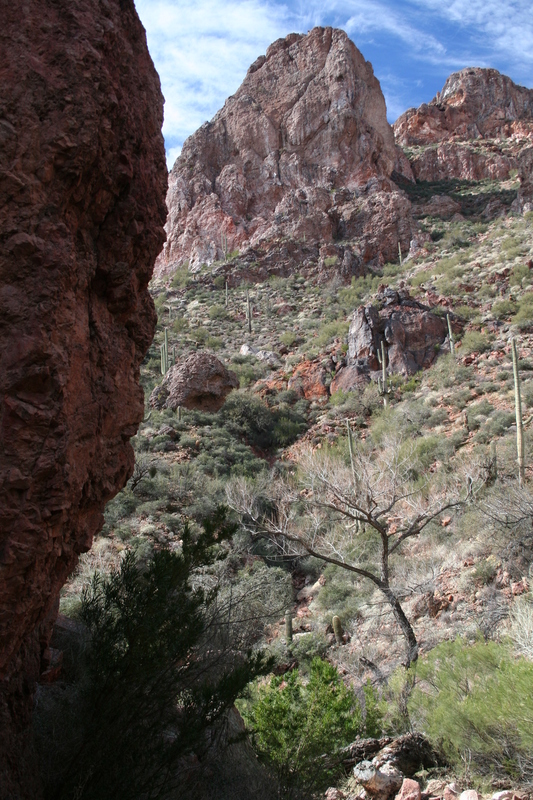 As Martinez Mill comes into view, take note of a trail that climbs out of the wash to the south. 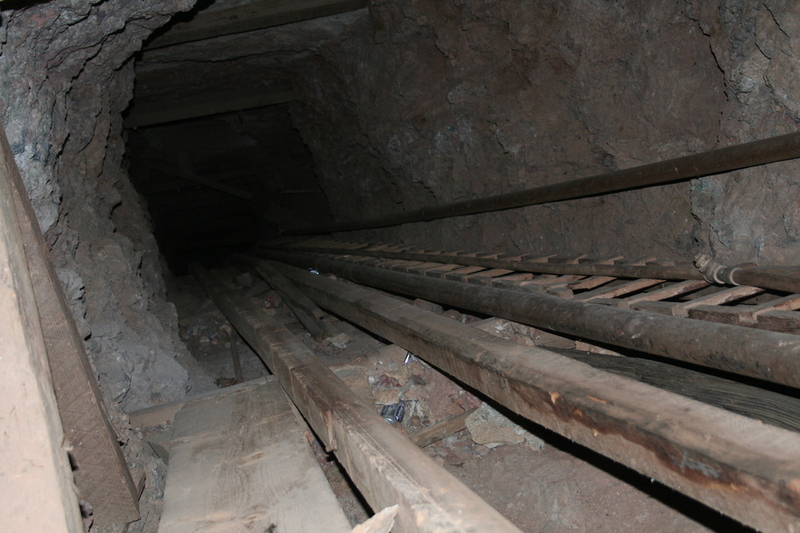 This will lead to the remains of one of the many head-frames and shafts comprising Martinez Mine. 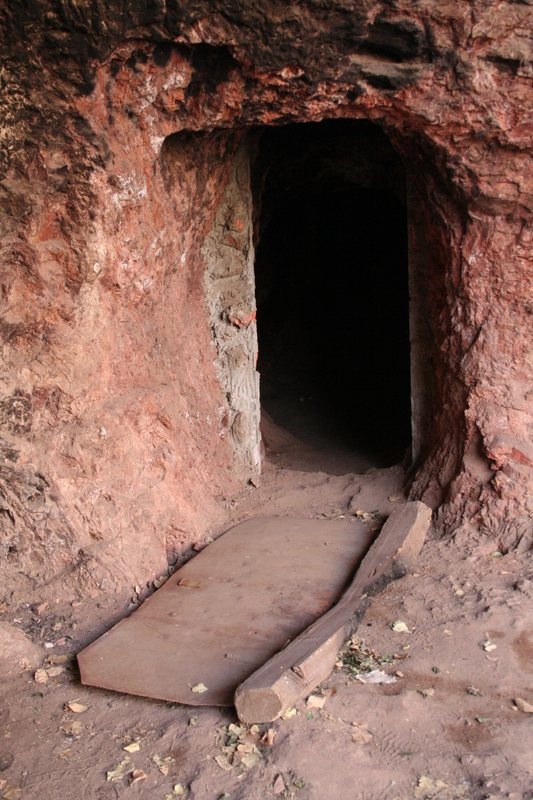 This particular head-frame and vertical shaft can also be accessed from the horizontal shaft located to the immediate east in the gully. After exploring this site, continue another half mile further up Martinez Canyon until you reach an old mining trail that climbs out of the wash heading northerly direction. 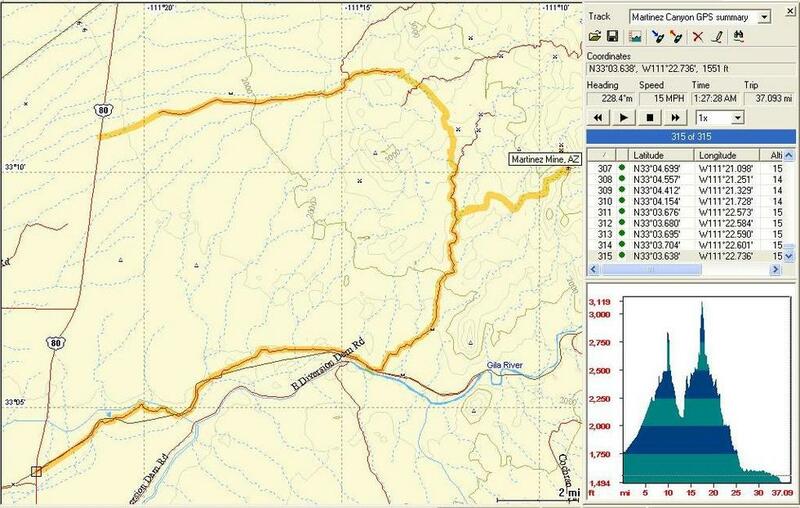 A series of switchbacks will take you up to Columbia and Silver Belle Mines at miles 1.3 and 1.5 respectively from the Martinez Cabin TH. The trail will crest just beyond Silver Belle Mine and loops back to Martinez Cabin via an incredibly steep section known as the "luge". We did not take this return loop deciding to retrace our steps back past the mines and on to the large cottonwood stands near Martinez Cabin. 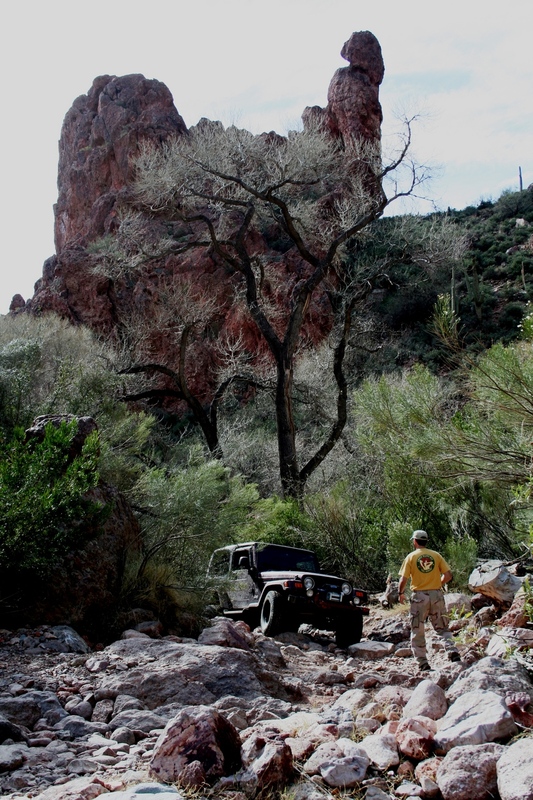 Summary: Martinez Canyon is ripe with Arizona mining history and tales of the wild, wild west. 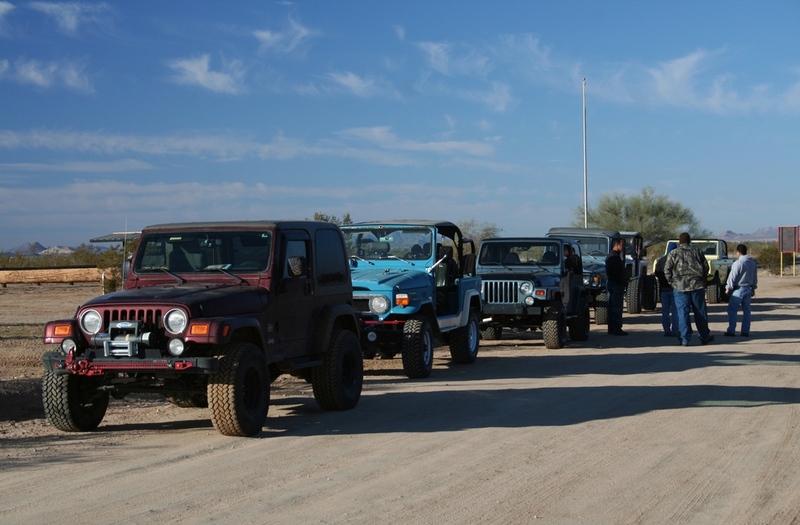 The area has a continuing controversy pitting ORV enthusiasts against hiking enthusiasts. 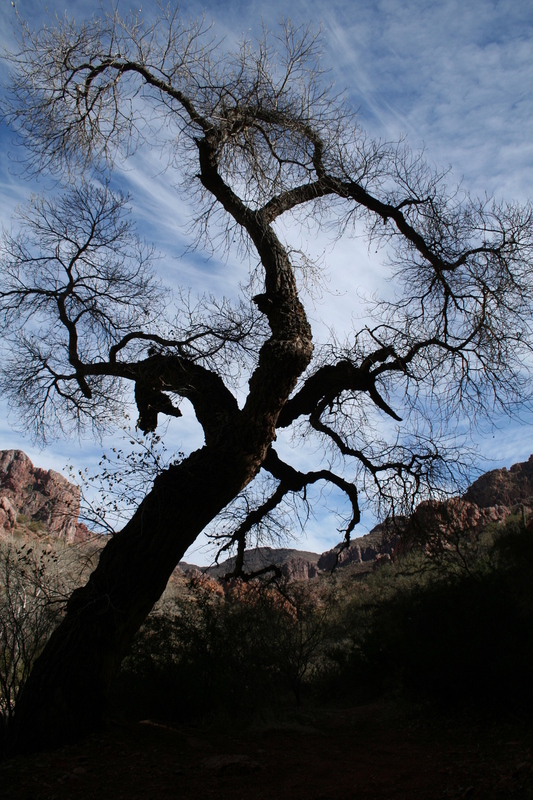 The Sierra Club and others have been petitioning the BLM to expand the nearby White Canyon Wilderness Area to include Martinez Canyon thereby closing the area to vehicular access. With an increasing number of 4WD roll-overs at the "luge", maybe allowing vehicular access to Martinez Cabin and closing access beyond the cabin would be a reasonable compromise. Enjoy! 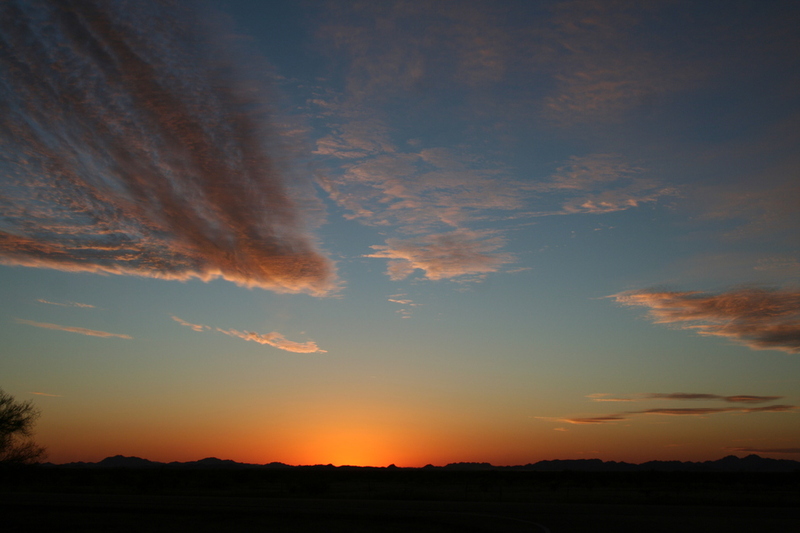 From Phoenix: Take the Superstition Freeway (Hwy 60) east towards Globe until you reach the intersection with Hwy 79 at Florence Junction. Travel south along Hwy 79 towards Florence about 5 miles until you reach Cottonwood Canyon Road. The intersection of Cottonwood Canyon Road is located between Hwy 79 mile marker 144 and 145. There is a large flagpole at the intersection used to signal live artillery in-use at the nearby National Guard range. Reference the GPS map for the 4WD route from Cottonwood Canyon to Mineral Mountain Road to Box Canyon Road and on to Martinez Canyon Road. 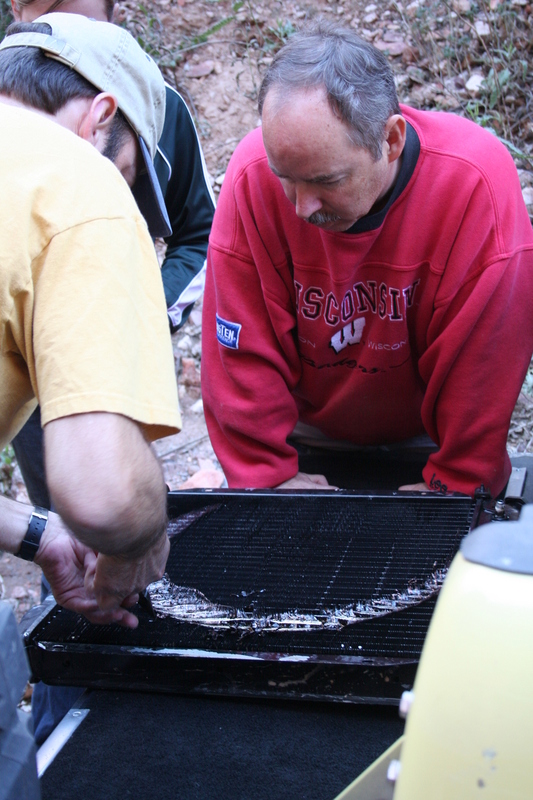 Further details are contained in the Coke Ovens via Cottonwood & Box Canyons. The Martinez Cabin TH is located at GPS coordinates 33o 10.002'N, 111o 09.499'W. My GPS noted 16.12 miles traveled from the Hwy 79 entrance at Cottonwood Canyon Road to the Martinez Cabin TH. Travel time to the TH was about 2 hours. NOTE: [As of this writing 02/10/07] State Trust Land Permit required. 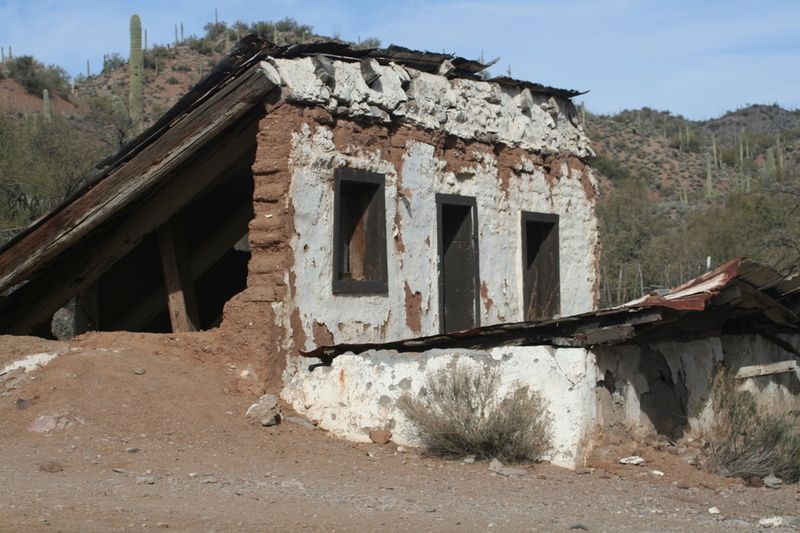 This can be obtained in person by visiting the Arizona State Land Department at 1616 West Adams Street, Phoenix, AZ 85007. Cost is $15 per individual or $20 per family and is good for 1 year on any Arizona State Trust area. Call 1-602-364-2753 for additional information.